Dean Martin in a black tux. If you don’t emulate this look for New Year’s Eve, you’re doing it wrong. 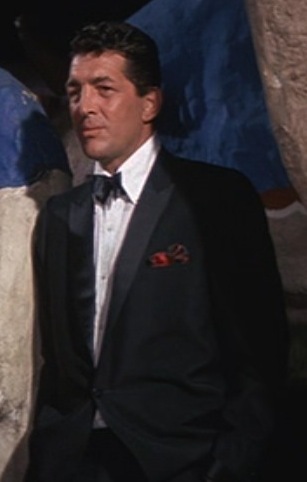 Dean Martin as Sam Harmon in the original 1960 Ocean’s Eleven. 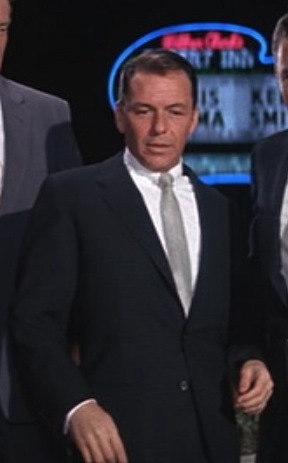 Much as Dean Martin was seen as Frank Sinatra’s second-in-command in the Rat Pack, Martin’s character Sam Harmon was the right-hand man to Sinatra’s Danny Ocean in the original Ocean’s Eleven. 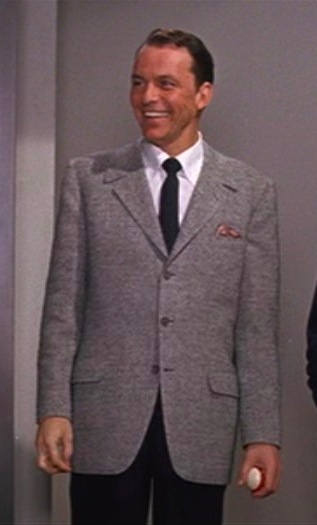 When the film was remade forty years later, Dean Martin’s Sam Harmon became Brad Pitt’s Rusty Ryan, who matched Martin’s sharp-dressed style with classy suits and sport jackets. Today in 1915, the world welcomed the birth of Francis Albert Sinatra. To commemorate what would have been Frank’s 97th birthday, here is another focus on the original Ocean’s Eleven. Although not as technologically savvy (and sometimes quite cornier) than its 2001 remake, the original Ocean’s Eleven is a classic piece of nostalgia that transports viewers back to the good old days of guys in good suits drunkenly enjoying themselves in Vegas while blowing through countless broads, dames, and cigarettes.